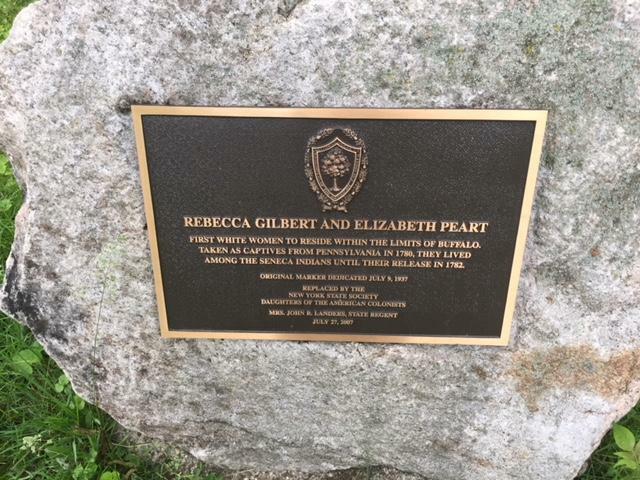 Among the markers that may indicate still-existing burial sites near the Buffum Street location. 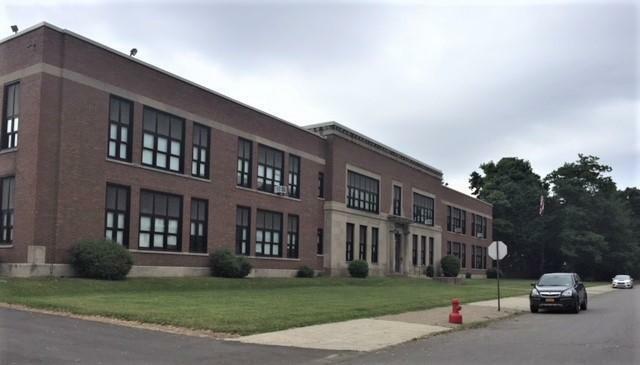 Maritime Charter says it is landlocked on its current Genesee Street location in downtown Buffalo and has already moved its middle school to the old School 70 on Buffum Street. It is also working with Ellicott Development to add a high school and gym on Buffum, a $13 million investment. The problem is that a Seneca Nation burial ground is close by the new South Buffalo location. How close to the cemetery remains the question. Another question is whether all the bodies have been removed. That plus the difficulty of Buffum as a narrow street in a residential neighborhood brought a lawsuit. South Buffalo Councilmember Chris Scanlon says Maritime Charter has agreed to stall the project for an archeological study. Western New York Maritime Charter School's Genesee Street location. "After we moved on that approval, additional information came to us over the time that we were on our August recess, requesting an archeological survey of the area," Scanlon says. "In light of that request, Maritime Charter School has agreed to go back and do it, thankfully. They have been very cooperative in everything that has come up." Wednesday morning, opponents of the project are due in State Supreme Court. Lawyer Arthur Giacalone says he wants a new judge in the case. The school is expanding its Buffum Street location. Giacalone says the entire project has not been approved by the numbers and the Council committee has no legal authority to rescind its approval of the construction. "Maritime and the city have asked the court to dismiss our lawsuit as being moot because the approval that we are challenging has been rescinded, today, by the Common Council," Giacalone said Tuesday. "Our interpretation of the law is that the Common Council does not have the authority to rescind the approval - and so I am stunned that it actually was done today. We were told in the papers, the sworn papers that we received from the city and from Maritime, that the matter was just being forwarded to the Common Council so that they can consider what the next step would be to respond to the request." Buffalo, NY – The Buffalo Maritime Center held an open house for it's Fall programs. In its new home on the West Side, the Buffalo Maritime Center offers boat building courses to anyone with a thirst for creation. 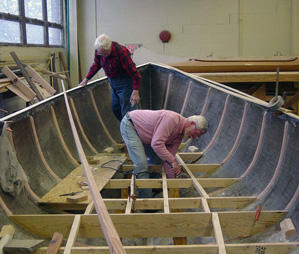 Richard Butz is the center's program coordinator, and he said that in ten to twenty-week courses, students can build a variety of wooden boats.